Hi everyone I hope this episode finds you well rested after a very long weekend whether you celebrated Easter or just taken it in your stride and relaxed or perhaps you have done few things around the house like I have seen a lot of my neighbors have done. Now today’s episode is with Dr. Bryan West. 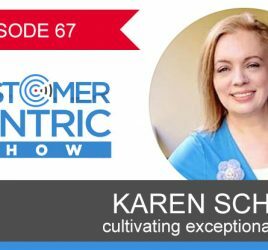 He owns an online learning business, vocational training and basically share some great wisdom around what he does and what his team does to individualize or personalize their clients experience with them. Why they choose to turn away some applications? 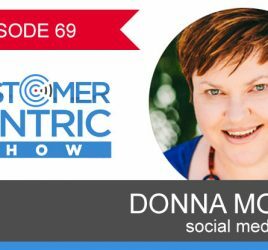 How they use phone conversations actually early on in the sales process. His unique staff engagement approach that helps him create a good team. How they overcame a quiet period and solidify a much effective business model as a result whether positive amount referrals comes. Why they don’t use any sales e-content in part of their marketing approach. How his team builds trust personally and professionality with their clients and plenty more. Actually another great thing is how he reduces 30 hour administrative load down to 3 or 4 hours per week. So actually saving them a lot of money in those wages. So great episode up ahead I hope you enjoy it. Thanks for listening. 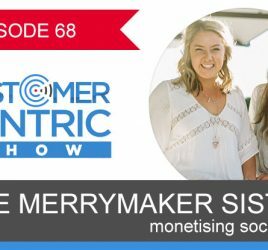 Mel: Bryan West is my guest on the customer centric show today. Bryan West is the founder of Fortress Learning which was launched in 2009 as a high quality online learning environment. Bryan and his team support around 1500 Certificate or Diploma students each year, with the number carefully controlled to make sure each student gets their full attention. Fortress learning success is attributed to integrity and some basic courtesy and so many organizations use these sort of words as marketing tools. Fortress has embedded them in all of their operations. In terms of uncertainty or questions are answered through reference to questions what is the right thing to do. No qualification is issued to anyone who is less than competent that is much as less than the business strategy as a commitment to acting ethically. At a time many organizations are under media spotlight for scrupulous behavior. Fortress is committed to making sure their name and logo is something to trust. Within fortress Bryan have more than 20 years of experience of teaching and strived to reduce time student spend jumping through unnecessary hoops. That’s why we got him on the show today. Welcome Bryan. Bryan: Hi Mel. Thanks for having me. Mel: Now let’s start off, we start each episode with an example of a customer centric or client centric business. Who is yours? Bryan: I think perhaps ironically it is my local video shop and they are destined to close as writing on the wall all there but they are not trying as fast as they could be. I put that down to service and the way they conduct themselves. Especially have couple of young guys working there, the university students and they worked there part time on weekend. But they conduct themselves with such professionalism. It would be very easy for them to say this is just a video shop and I am just killing time until something better comes along and this is beneath me but they don’t, they never conduct themselves from that point of view. Instead that they make it their business to make the staff, they are really helpful. They do their job with it is quite like a passion. You walk in the door and they greet you by name. It is very much relationship sort of service and it create sort of mutual obligations I mean these guys certainly do so well I cannot feel like out to them to greet and even that we are ahead. We still find themselves visiting the video shop because of their loyalty to these particular people. Mel: Right have you always used that video store Bryan? Has it been ones that you used 10 years or is it more of recent thing? Bryan: It is more of recent thing and it allows couple of years since we lived in this particular area but for the very first time we went there, we have been going there over since. It is probably bit further away than another one and to be honest I think their rental fees is a little higher but that doesn’t even factor. Mel: It is fascinating because there is a lot of video stores closing everywhere I know one store that a lot of the employees were actually film students so they were passionate. So it comes down to obviously recruiting right type of people who are invested in that industry. It would be interested that after 10 years they still got that staff and things have progressively gotten better. Bryan: I would like you to speak with the owners of that particular franchise to find out if these 2 guys are conscious decision or whether and even discover Mel with even realize that it is quite possible what these guys do and in a way they do that is probably keeping their business going for longer than perhaps. Mel: Yeah absolutely and in the spirit of I guess what could be perceived as negative spirit of doing business, they still continue to keep their passions. That’s a great story and thank you for sharing it because that certainly would be one front of mind for me but yeah it is definitely it is still value in that space for short term at least. Bryan: I think so and to my mind it speaks to how important that is for front line people to be able to authentically live the purpose. Communicate the purpose of that organization through their actions in a way that they believe is best fitting for each customer needs. Mel: Yeah and I think doesn’t matter what is whether it is a career or I guess something that you are going to do long term. You are going to find that in your job so that you are in university and you are studying. There is great value in spending time focusing on selecting the right career and when you are actually in that role to fully embrace because as an employee truly enjoy the experience if you do that. Bryan: Absolutely and to be honest for these guys I let both of them know to give me a call once when things do go to a certain point and they positions are no longer attainable. If I cannot help them then I would be very happy to recommend them to others. Mel: That’s fantastic. Now Bryan do you mind explaining to me I know the story of fortress learning but if you could just give a brief sort of summary of what led you to creating fortress learning. Bryan: It is a common question. As you mentioned earlier I have a teaching background before being a high school teacher I was involved in community and corporate education. When I was a high school teacher there was a number of deputy roles responsible for teacher education including overseeing vocal education and training in schools. It was sort of growing thing. There is some differences between training and teaching that subjects so teachers were skilled and teaching wasn’t possessed with right knowledge to be able to deliver that qualification in a way that was compliant and so I organized training for them to go off to. What I actually found was that they come back great stories with wonderful pastries with lunches but they didn’t necessarily come back in a way much with knowledge and I guess the whole concept of training and that’s why when fortress learning was ultimately on it has the word learning and not training because I believe the training is something that we do to people whereas learning is something that happens within them and back to the story about these teacher is I found that I was having to teach and trading them myself and so I put together programs and those programs became sufficiently successful and the teachers were learning more of relevance in the stuff that I was doing with them then they were paying with elsewhere and that really got me to thinking and I had conversation with friend of mine and about learning generally and how we felt that Australia training industry seem to be missing the transformational element that comes with learning and it became to transaction and so we said about the challenge actually whether we could deliver this particular program online in a way that exceeded national standards for quality things like that but also in a way that made it more accessible to people and that experiment was successful in 7 year later. Mel: Hmm so can you explain to me what it was that you think that you did differently because when I think of let’s say stock standard training. It might be one person talking onto the front and everyone else was consuming and I think of perhaps you were more involved or interactive. Would you say that it is what the differences? Bryan: I think the differentiator is with the standard model of the stage, the participants of training are generally considered to be passive. We put the stuff into them that we need them to know or believe in it to know and we done with it I think our job is done? But from a learning point of view it comes from starting to saying what do they already know? What they already done and identifying from there what sort of structures in place of their brains and then work out how can we leverage from that existing base of skills knowledge and experience to add in the bits that they need to know in a meaningful way? So rather than you sitting in the classroom and having a same relation given to you that is given to everyone else. We prefer to start with you and say what is the best information that you still need and what is the best way to connect that new information to the information you haven’t got on and that for us creates a more meaningful way of engaging people with information’s. Mel: Okay so can I just confirm that so the RPL recognition prior learning, is that part of that or you talking about just assessing what they already know? Rather than put them through subject of that? Bryan: Well yes or no. it certainly RPL comes into it and what we do with every student when they start is we like to capture what they likely to know with survey and from that we identify sure where are the existing overlaps between what someone know and can do and what required for this particular qualification that they are enrolled in and then we can go them and say here is an opportunity and here you should apply learning and we can assist them with the process of applying for prior learning. By starting from that point we can actually help them to make it more efficient and likewise through their responses to questions we can identify which parts of the program with learning they still need to do and because of this basis of understanding the background, we can texture parts of the learning in a way that makes it more relevant to them and then having understanding from the get go students background and it is about asking what they are likely to be doing. That then also enables to better understand them to be able to better support them. So if someone rings me up then one of my student rings me up then I have solid understanding of what they doing and have done at work and then enables me to explain new concepts in a way that connect them with things that a person already has an experience of. Mel: Okay so it sounds very individualize. How do you actually start that process? Is it face to face interview? Is it done online through a survey or skype? How do you do that? Bryan: We explain this process to people before they come onboard. So that they people that do come onboard are aware that it is going to happen and they are open to it and then once it happen and people start, the first thing that we do is make sure we send them a link to a survey and they send it back to us and we review it and that thing on that basis we got a very initial process setup. We can develop a plan and then we talk through that plan with the person. Basically becomes a blueprint and we call it a personal learning plan and that becomes a blueprint of how they can move through qualification in a way that ensures 2 things. One that they get the most out of it and two they actually meet the full requirements of the qualifications so that they are genuinely competent. Mel: Okay so can you give us a rundown on the types of courses that you do offer and then talk to who your target market are? Who you look to attract to those courses? Bryan: The main things are certificates for development and applied diploma for qualifications also from the training. Plus we offered 3 diplomas from the business services. So in terms of our target market those qualifications are pretty generic and there are thousands of organizations to deliver. I guess it is important to be really honest and say we don’t try to do things to our people rather target these people who are working or have worked so they come to us with a bit of experience and the whole determinations. The people who are paying for themselves usually they are so funded and people who are making commitment to adding study into what already demanding are. To be honest I take my head off to it. Some people committed to it to make it work for them so the other people we really want work with, the people who demand quality and don’t want to take short cuts and people who understand sometimes having someone tell them that they don’t know as much as they know is actually a key to be able to learn something. Mel: Okay so I am not familiar with other training organizations but let’s say other RTOs that offer the equivalent, are they not doing what you are doing in terms of that personalizing and I guess being involved in that process of identifying their current state and what their current position is in terms of their knowledge and where they want to be, is that what makes you different or they are doing that for some degree and you are doing it for more depth? Bryan: I think we do it for more depth. I couldn’t speak to more training organizations but from my experience from my own students any of who talk of their colleagues experiences, it is quite clear that we are very authentic with that. So that certainly is one thing that separates us but I think what actually separates us is the fact that we actually appeared to say no in front of people. We are not desperate to take everyone and that creates a culture where the people do have a very serious knowing of what they do and it means that we can focus our full attention of helping the people who do this. We don’t have staff Mel whose role is just to put in out associated with people who perhaps didn’t actually have good feed to start with. We learned that the hard way. When we first started we sort of to a logic standpoint in a way which we deliver things the way we do and for the first few years there wasn’t much competition and we became a bit complacent there and then one day it just seems like it and we realized suddenly the market is incredibly competitive and I actually take couple of years off manager and I returned and the landscape had changed so considerably that we just had to go back to asking ourselves okay why did we start this organization? What we want people to experience? Let’s get rid of everything that doesn’t lead directly to that and one of the things that we discovered was that we had tried to then know that backwards for so many different people to do so many different things that became stretched in so many directions and we are unable to actually meet the needs so many people and instead we moved towards saying okay this is what we do, this is what we do well based on people we are seeing to do. Mel: So Bryan you started being selective progressively as you went, that’s quite the discovery process and so choosing your idea of client is really key and so is that sort of how you came into the decision that sort of independent people as a post to going to businesses who might put a whole lot of people through professional development. Is that how you made it? Bryan: No I didn’t. We always had self-funded people coming to us but there is clear distinction between people who want the piece of paper because it is a ticket and then there is other people who want the piece of paper that they want to be confident that the piece of paper reflects their genuine ability and within the modern workplace, the piece of paper are currency and so we needed to decide to focus on those people who didn’t just want the piece of paper. Who wanted to learn and prepared to all of the things that are necessary in order to learn the basic things. The people who are coming to us in believing that there is money then that should entitle them to perceive the piece of paper with the ones that we are rubbing up against and they are the ones who are really causing us. Now I am quite brave for this. They were causing us to seriously question what we were doing and why and that really caused us to do some self-searching and decide what we are going to be? Are we really honest of going to be in organization that tried to do the right thing or we are going about to this pressure? And take the short term process and start hanging out dodgy qualifications. Mel: And start I guess as you said finding it like the taps being turned off every so often and instead of having that consistent stream of client sell coming through. Bryan: That’s right and one of the things is in the early days we decided no we would just stick to our guns and we had certain quality standards and things that we wouldn’t budge on and we wouldn’t take short cut and that’s being really good because 7 years down the track the number of people who come to us now who say look I did my qualification with you a few years ago. At that time I was just entry level. Now I see the value of qualification. I am now responsible for this whole department. They need to be training. We want to go with you. Mel: There is obviously a lot to it but what are some of the things that you do then to help qualify people for the type of people you want in equals? I think you have a lot of leads and then funnel down. Is that how you market yourself? Influencing the type of people that are coming to your business? Bryan: It is certainly and the marketing isnt just about I guess if you look at marketing and training organizations now, it is mad rush for everyone to get as many people into their funnels and I think it is really sad now to look that in the media every days and read story about it a student who got some incredible loan or some sort of thing that happens simply because there is disconnect between what the student was expecting and what the organizations able to deliver? We take the other approach where we happy to have people pour in on top of our funnel but very quickly we let them know that this is what we are about. These are our standards and we make it clear to people what they can expect from us and what we expect from them and then if someone happens to enroll and we usually identify that pretty quickly. Now we get impose our drawl process upon them and say look you been enrolled in x number of weeks therefore you are only entitled to this amount and it becomes a big grudging sort of difficult thing or we can simply say a trainer would refer that situation to me pretty quickly as a manager or if I am the person I say look we don’t actually think this is good thing. This is what we are able to offer you and this is what we are happy to work with you in this direction to achieve these goals. This is how we do it. You can find provider that is more in line with you or stick with us and we will do this figure. So more often not those people come around and stay and continue on with is but occasionally sometimes it is away for people to leave with dignity that was in face. Mel: Okay so I am not familiar with how normally it goes but I think it is like you enroll in university after you apply, is it like that typically within your place? Are you different in the market with those conversations? Bryan: We are bit different because we for most of the programs we always help these callers. Mel: And most businesses I think would be trying to avoid that because that’s sort of expensive avenue to have a lot of people going. Bryan: That’s right and we don’t want you to call us. That’s important to be able to set standards. Then I want to talk to me but I want them to talk to a marketing person. I want them to person with whom they hold learning relationship is going to be with and that often find people say look I actually have people ring me up and complain about our requests that they ring us up to talk about the program. It is clearly those people. Other people bring up and they sort of view it as selection process and they come in and sort of concerned and worried and at the end of it they all realized that this is actually people and it is about us wanting to learn about them and allowing them to learn about us and looking at if we were to go ahead to get then what would that mean? What would it look like and then allowing them to make an informed and honest decision is that actually what they want and then if they make that decision that they want to do that then we offer really good start. Now sure it cost money upfront because you talking to people and have your key staff to sales course but those are conversations that trainers going to need to have with people if they properly do their job and it means that in the back end we don’t have grumpy students. We are not dealing with complaints and dealing with social media and so it means we are happy with place of our work. Mel: Yeah you are setting yourself up for success. You are setting your staff up too and just creating that harmony environment to get on with right. Bryan: Yeah. Dealing with people is very taxing. So if can do anything to nourish the environment that gives people energy rather than just drains them then I am all for it and this is what we doing and to be honest when we started to having conversations with students and saying I don’t think we are good fit or what you are asking our staff to do is not align with our values and it is really good for moral and I make sure those conversations happen. Mel: So are you the only person taking those calls or other staff taking those calls too? Bryan: No we have other people to take them as well. Mel: Great so how many staff do you have onboard and can you tell me how you select them because I imagine that would be such a process as well? Bryan: We got 12 staff. I guess it is based on values first. We really want nice people who genuinely care. They do need strong set of skills and roles specific skills but when it comes down to if you are not a people person then just not going to be a good fit. I guess I don’t believe that it is possible for someone to come in and just absorb a culture. I think people either contributing to a culture or they are distracting from it so I want to make sure that we bring in people who are going to nourish our preferred culture and not just sort of absorb. Mel: How do you monitor that? Bryan: Contribution, attitude, the way in which people speak with each other. Those sort of things are important. We have every Tuesday what we call a hurdle and we have Friday as well. Every Tuesday morning every staff member answer the question how I have been taken of my physical emotional and spiritual health and well bang and so the answers that people give during that open conversation are a key to how people are going. So every staff member share something that they have been grateful for. Little things like that as well as having operational processes that ensure transparency is nothing that anyone does in organization that anyone does and other don’t know about and that ensures that everything that people do is readily known and what actually happen is when there is not a good fit, it is person themselves usually identifies that before I need to and I will say this is working. Mel: This would be difficult because I guess this doesn’t co-insight with the end of diploma course. So what do you have to do then in that situation if someone does need to move on? Is it just a case of you stepping in? What do you do in those situations? Bryan: Usually when it has happened it is generally them saying no this is not working. What we do is we certainly provide them with opportunities to contribute to the culture and we will make it clear what the expectations are, allowing them to make decisions. It is about empowering them with all aspects of everyone's work. I want people to be autonomous as possible and the key to autonomy is mastery and purpose and if people know what the bigger picture is and are aligned with it and have the skills to do their jobs then get the freedom to do their job and act accordingly and we generally find that people once they are given that level of trust and responsibility for their own actions make a decision one way around. Mel: Okay I really like that approach. I am hearing more and more about business coming together couple of times a week. One too really down to the actual items and the other is a little bit like you are saying hurdle together. There is a focus that might be about personal development and chat about day to day things. The problem solving things that they normally don’t have time for in other meeting and that just creates that community that feeling of getting stuff done and to help each other solve potential issues. Bryan: That’s right and we also have 1 on 1 meeting that are only 10 minutes a week and every staff member has one and that weekly means a lot but I would say I mean we don’t have performance reviews or anything like that. These meetings are so and the agenda is so related that they create such a safe place for anything to be dealt with and the value of them in there and because if I got some issues and I am close to them personally than professionally that would be difficult. We ask questions that is there any issues and this just comes out and it creates an environment of trust and I think the important thing is it creates environment of accountability. Not just in terms of the lower level staff to the manager but the other one around. It really ensures that middle manager involved in these things are truly listening to and responding to what staff are saying and what they need. Mel: Yes and definitely you have a very clear picture of everyone sits and where your business sits I guess having those conversations so often. Bryan: Absolutely and it is not just about what they say more often the business is big thing I try to have middle manager in is listen to what is being said, that’s where you will find the places. Mel: Okay so say for example someone comes and says something that they don’t like you sort of suggesting reverse engineer what could be the route of real problem? Bryan: That’s right or if we are talking about the issues they hurdle, the person who every week says yes I have been looking out my health but doesn’t give any details. Who is not as chatty, those things can highlights other matter and we look hierarchy then we going to need to deal with lower level items if we are expecting staff to be truly supportive. Mel: Right the most famous quote is from Richard Branson about you got to put your people first because without them the customer cannot possibly get what you are trying to deliver so it is about investing in your people and well and truly. I think it is very valuable conversation and thank you giving us the insight into that. Now let’s talk about marketing. So when you are in such a saturated space and you do have your own beach I guess you are targeting a particular type of client, what are you doing in the market to be able to get those leads and what has been effective for you? Bryan: The most effective thing for us is word of mouth. We would be in the last 2 years gone from about 30 percent to 60 percent of new enrolments coming through. Mel: Do you have an active process to actually encourage that or is that something that organic? Bryan: We used to have an active process and then I started contacting some people and I asked them about it and just found that there was a bit disconnect between genuine relation of the business they felt they established with us while being to student to then have sales referrals to friend type stuff comes through. They didn’t really connect with that. An example is when someone graduates we send a certificate card and the hand written card is written by their own trainer and if they are student that say that’s really what we about that go in comments in there and if there is someone else who you believe would appreciate the service then pass on the details and that sort of hand written content get data on it. Just seemed to be quite effective. Mel: There is power of hand written note I think and as you said from the person who is connected to not someone in admin that sort of being tasked to it. Bryan: But you know the key to referrals is people are surprised. People talk about things that are different or unusual and so around there when people are talking about I got to get my diploma. People talk about horrible experiences they had and then our students say that I didn’t have that experience and people say who did you go with? They says fortress and then they sort of come our way so it also comes through the trust in the logo and the same because people who gone before as graduates before we insisted our graduates are the real deal but they are legitimately competent. They are people who others can look and say well hang on if you are going to recommend someone then job log is over there. I am going to get your recommendation a bit more. Mel: Okay so when you are not I guess getting that word of mouth business. Is it online or you are using social media? Where is it? Bryan: We do fair bit of prospecting and that is just the open funnel and that’s through Facebook actually we have been trying and that’s been working quite well. We just making sure the ads speaks to quality and confidence and those sort of keywords we are after and then once they are into the website there is the marketing and retargeting through adverts and we follow them around. But our website is designed so that every page has essentially one thing that people can do that they want them to do and it is usually to download information and giving us the email address and our experience is people come to us and somewhere then they come back and then they download information and once they download the information we start the resonance we set up but it is in such a way that it is not as and we signed up to another trainee organization information as well and some of them just hammer here every day. I looked at a few and I talked to a number of students and perspective people about what they recommend and looked at some research and so we came up it and our follow up has basically 3 emails over 6 weeks but the important one and the one that get most of the response is on day to. I actually send that one. It is not sales message and it simply says hey. You probably expecting sales messages, this isn't one. Just here to see if you got the information you needed and anything that you want to ask and that one I just put a change last year and give that a go and that one is the one that people responding to that one and conversion of those people and 90% of those people go on to be coming enroll students. Mel: That is the connection point isn't it? Introducing them to how you do business. Bryan: It is day 2 so they already got some information. They have already been searching around organizations as well by that time a number of them we can see and we already received first e-mail from that and I am subscribed, that’s great. They are out of the funnel and I am happy for that and then it is those people then who get that second message that seems to be the key. As soon that happens we put them on weekly newsletter list and that goes out to people and that newsletter is not sales at all, it has no call to action or anything in there. It is just about sharing information and then establishing credibility and trust. Mel: I like that there is no call to action. It is like I am giving you this. You already given me your e-mail contact. I am just giving you this extra value. Bryan: And that’s right, that’s the whole purpose to say we are still here. We are not going to make a noise but you can look at stuff we doing, you can judge its quality. I guess we use social media the same. Mel: So your content really has to be spot on to make sure that you are getting as many as the right types of people through. Bryan: That’s right and it is really interesting that we have a newsletter content written by one of the trainers and they do in a bit of time but she been doing it and we rotate. She got a following now. Some of these are not enrolled and may never enroll but people come to us because they have been referred to us from someone who receives the newsletter and they finally get to them as student, already there is trust. Already there is a relationship. Mel: So you are really building up that trust that I guess openness to set the tone for the type of people and the type of environment they are going to be entering into. Bryan: And to be honest a lot of it is simply because I feel so much so that people try to make a decision. Once they make a decision they need to trust. How the hell they make a decision about who to trust? Mel: And I think that personalization and that connected I guess everyone is sending out the emails telling about great they are and maybe some fantastic statistics but they are not actually connecting and there will be certain type of person who is looking to do that and that’s what you are looking for from your students in return right. Mel: Fantastic. Now just to finish up, as a business owner as you progressively bringing people and your business is growing what if you have done if you got some advice or tips of how we can as business owners give ourselves but freedom even though we are trying to grow the business. You can feel like it is account able for sometimes trying to get through all the tasks. Any tips? Bryan: I think it comes to trust. It is about not mistaking trusting someone personally with trusting them professionally so let me explain. We can employ someone to do a job and we can trust them professionally to go the job and we can trust them personally to want to do the job genuinely but even that we may trust them to do the job as best they can, that doesn’t necessarily mean that we should be trusting them to do the job because their intention to do the job doesn’t necessarily equate with the ability to do the job and so I think it is important that we provide clear structures guidelines for staff to operate so they know clearly what the expectations so they know what their roles are so we also have something than to fall back on like we got a very clear process. If something goes wrong in our organization we actually have a process that explains how to go back through the relevant processes when this has happened to find out and that that enables us to identify one of two things. One it was a human error in which case deal with whatever the appropriate way is. Quite often it is the training staff to have a laugh about it and just as little mistake or two maybe question the stability of that particular process. So by having those sorts of things written down you can actually create a safer environment with people and wanting them to stay up and more successful your trust both professionally and personally and I think that’s very important. We still want people to think and don’t want them to turn into robots. I talked before about autonomy mastery and purpose where the mastery comes from not just being able to do your job. Mel: Absolutely and that’s an ongoing process like you said. You create structure of processors but tweak it as you go. Is that a collaborative thing as well? Bryan: Absolutely and all of our staff every single person has the authority and responsibility to be continually refining and updating and delete processes. Mel: And that’s important actually the whole concept of deleting processes because they can often in our process they can add but not take away. Bryan: Yeah there is a great book by a couple of guys from Stanford called scaling up without screwing up and they have got this thing of whole section about you need to reduce cognitive line and sometimes just removing one step from process isn't enough to do wonderful things. When I returned to being manager couple of years ago I noticed that the organization had grown into different directions and one of them was the admin area within the office and we had about 30 hours of admin time that we expect within certain duties and I couldn’t get my head around and so I actually just sat down there and watched for a whole week for 30 hours and I document what they did and I realized that so much of what they were doing was duplicating what has happened elsewhere in the organization and so much of what they were doing was correcting errors they would cause by the way which they were doing things. 2 years we now have somewhere between 2 to 4 admin hours per week. We don’t have those errors being made. The quality of service in that particular areas hasn’t affected the students and has gone up considerably and so that’s an example that we don’t only save 30 grand a year but we actually reduced the level of complexity that people had to deal with in order to do their jobs. Mel: Okay so it is literally getting together and saying okay who is doing this so allocating roles and responsibilities I guess and breaking things down and removing those things that have been doubled up. Bryan: And always asking the question why? Why we doing this and one of the key indicators for me is that staff member struggle and perhaps it is time to review the processes again. Generally speaking that has never ever lead to something else, usually it leads to refining the processes, vision of the way we do things and go back to much more efficient way of operating. Mel: And so all of those processes then allow you. Do you take a bit of time off during the year Bryan? Bryan: I have for a last couple of years but I mean I mentioned me way away for couple of years and I took a whole year off and that was great and we did that because the organization was assisting us. Mel: Yeah fantastic. How hard was that though having the great time? How hard is it actually to really step away? Bryan: It was pretty hard. It is trust and I knew I was going to do it and so I actually spent 6 months climbing down the ladder so basically assuming every role in the organization from manager down and then I was out for 18 months. Mel: Wow that’s great. Congratulations on the great word that you are doing and the fact that you are able to continue to just keep thriving and what is such a saturated space so you know it is very clear that what you are doing is something that is going to keep your business in good years to come with that approach you got so thank you so much for sharing that stories really appreciate it. Bryan: Lovely to have a chat. It is always good opportunity to reflect on things and yeah it is what we do that helps us sleep better at night. Mel: Fantastic now do you mind sharing with us before we finish up something that you are working on that’s coming up and you are excited about it as well as your details where people can find you, find fortress learning? Bryan: You can find fortress learning at fortresslearning.com.au or look for me on LinkedIn Bryan West. In terms of what we are working on we got a few business development happening but what I am really excited about is actually something really small. We were talking before about referral and things like that and we were talking about how can we express our gratitude more to our people who refer us because they are so important and we asked few of them and we thought of giving them stuff as I suggested before they said that no that’s bit of fancy actually because you have already got our trust and you to reward that with cash, this doesn’t fit. And they told us if we gave them money they would actually be incentive to refer more so and so a few staff it works. It is not just students who trust it is our families and when our students refer us to others it is not just us who are grateful it is the family who are grateful and so couple of mother got all the kids of all the parents and they drew stick figure of themselves and we had them mashed up into an album and we made it process into making little simple thank you card from the kids at fortress and so the idea being when someone refer someone to us, it is not going to be an automated message or money or something, it is going to be hand written card from the kids at fortress to genuinely express our gratitude to emphasize that trust. Mel: Yeah these are the people who are all connected to the educational institutors that is fortress learning but there is people that sit behind all this even beyond the people of contact. I like it. Bryan thanks so much for your time again. Great to have you on. Bryan West is the founder of Fortress Learning which was launched in 2009 as a high quality online learning environment. Bryan and his team support around 1500 Certificate or Diploma students each year, with the number carefully controlled to make sure each student gets their full attention. No qualification is issued to anyone who is less than competent which for them, is much a business strategy as a commitment to acting ethically. At a time when many training organisations are under the media spotlight for unscrupulous behaviour, Fortress is committed to making sure that their name and logo is trustworthy. Within Fortress Learning, Bryan uses more than 25 years’ teaching experience to untangle the ever-changing regulatory framework and strive to reduce the time students spend jumping through unnecessary hoops.